The Marvel Knights specials continue with Frank Castle, aka The Punisher! 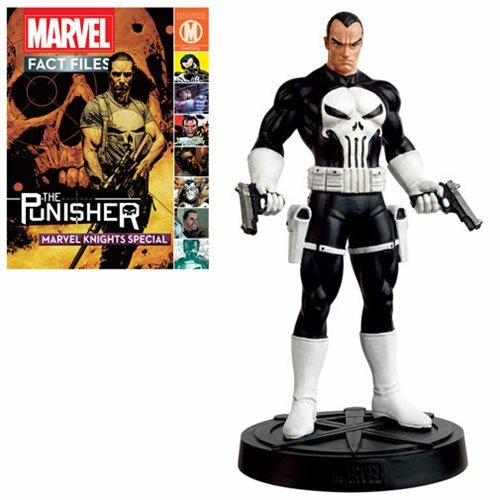 Posed ready to take on Marvel's criminal underworld, this Punisher statue stands approximately 5-inches tall and comes complete with a 20-page magazine detailing the character's distinguished publishing history. Ages 14 and up.